An estate agency which began trading from a dining room table celebrated a decade of successful trading on Thursday, March 23. 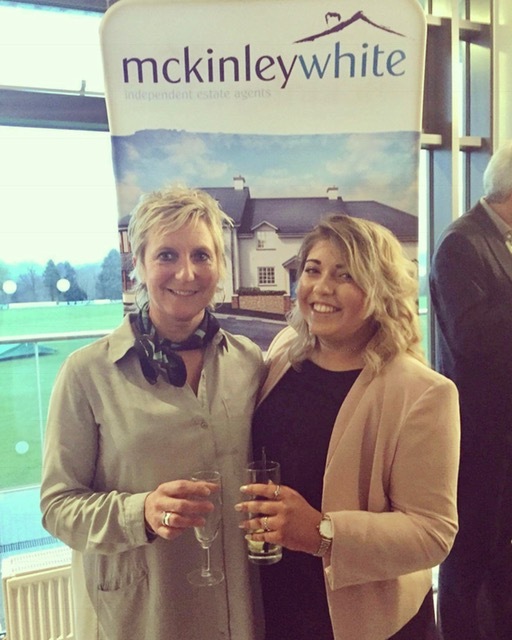 More than 70 people gathered at Exeter Cricket Club to help the team at McKinley White mark their ten year anniversary. Welcoming glasses of Prosecco were served and canapes by Ark Events offered to invited guests who gathered at the event. Launched by Graham White just before the 2007 credit crunch, McKinley White began as a one-man operation run from Graham’s dining room table, growing to move to a dedicated office in Silverton three years ago. A team of three now looks after sales, lettings, student and commercial services offered at the agency. “We were delighted to celebrate our 10 year anniversary with around 70 clients and contacts.